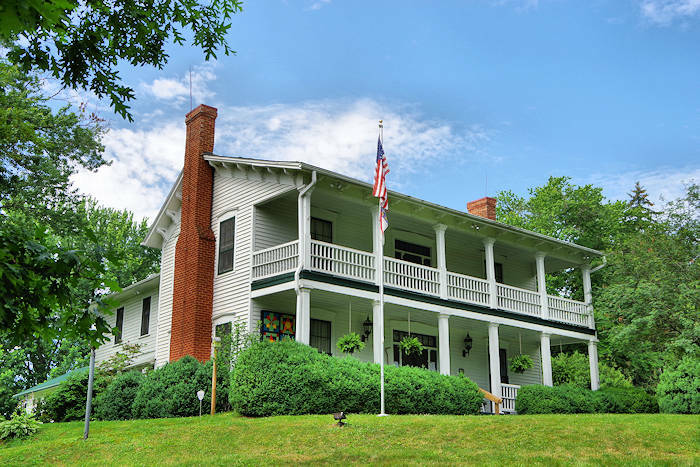 The grand Shelton House in Waynesville was built in 1875 and now houses the Museum of North Carolina Handicrafts. So your guided tour is double the fun in this Charleston-style farmhouse with a double veranda. 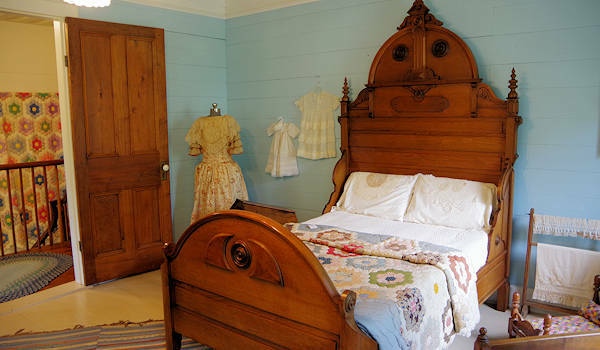 Each room is stuffed with 18th and 19th century creations by very talented artisans and designers from across the state. It's open May through October. 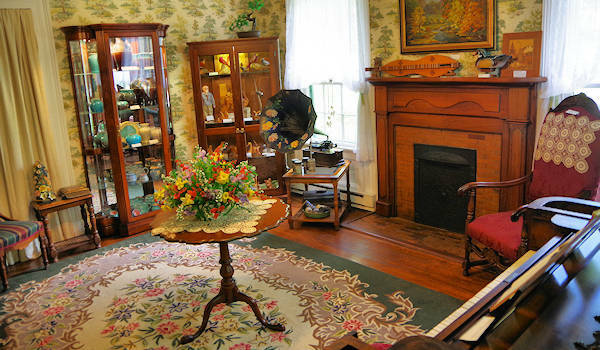 The historic home is listed on the National Register of Historic Places and is filled with antique furniture. The variety of the collection is astonishing. See gorgeous quilts, sculptured porcelain, dulcimers, woodworking, masterpieces of pottery work and furniture and a collection of Native American artifacts from the Cheokee Indians. If you love old-fashioned, handmade quilts, their collection is a must see! 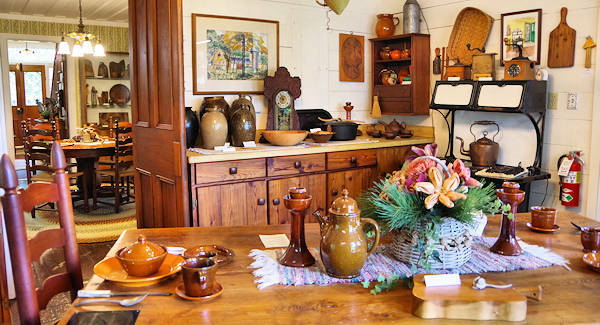 The museum is located near downtown Waynesville, so there's much more to explore nearby. 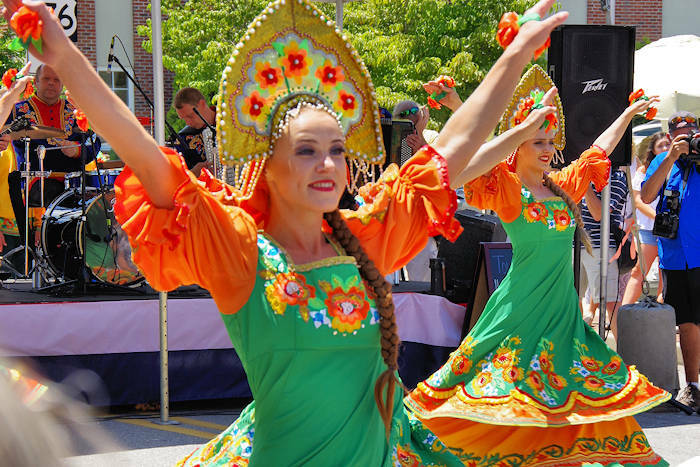 Adjacent to the Shelton House is HART (Haywood Arts Regional Theatre) with a fantastic line-up of shows and a Farmers Market. 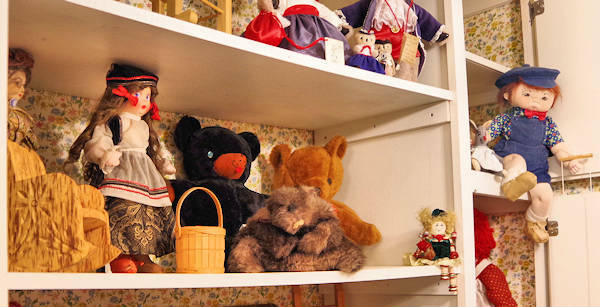 Don't miss the toy collection! 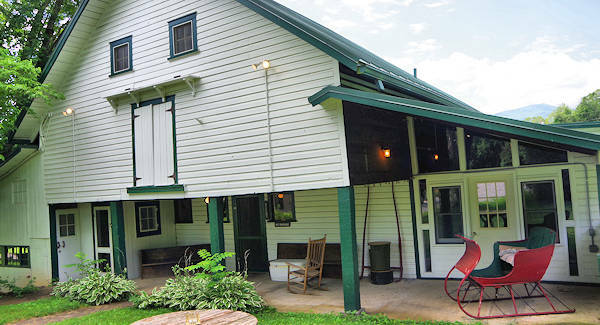 Also included in the tour is the barn with farm equipment and the original milking room. The museum is open May-October, Tuesday-Saturday, 11 AM-4 PM. Admission is $6/adults, $5/students, free/children 5 and under.